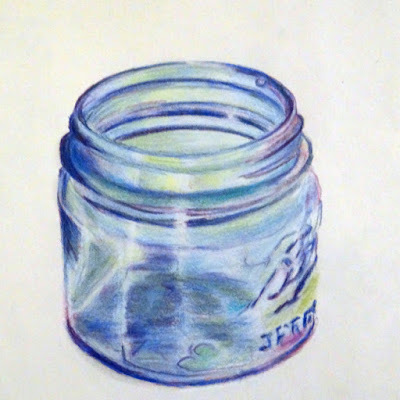 diana lynn's painting a day: A Jar. A blue canning jar. So glad they are making a comeback. This colored pencil drawing was done with my new pencils. A birthday gift from my Anna. Love them. And her. The pencils were made in France. She is all Minnesota.